If you're looking for a real deal and more than just a neck pillow, the State Surplus Store will be your new favorite place. SAN ANTONIO — It is a treasure chest you've probably never heard of in Texas. Valuables lost at the airport or taken by TSA all go to one place. Kristy Fierro is with the State Surplus Property Storefront in Austin. You can find many items there, like jewelry and knives, just to name a few. "We don't even know what all we have sometimes," Fierro said. Chris Rios is a loyal customer of the State Surplus Store who visits regularly. "At least twice a week, or sometimes twice a day," he said. Rios collects knives and has thousands of them. He keeps coming back to this store because of the deals and finds. "A $40 knife or $60 knife could be priced at $20," Fierro said. "We got dollar knives all the way to a high-end knife that sells for $350 online. We might have it marked for $150." So where do all these knives and other merchandise come from? It's from airports in Texas. "If it is lost or surrendered through TSA here in Texas, yes, it will come here through this storefront," she said. 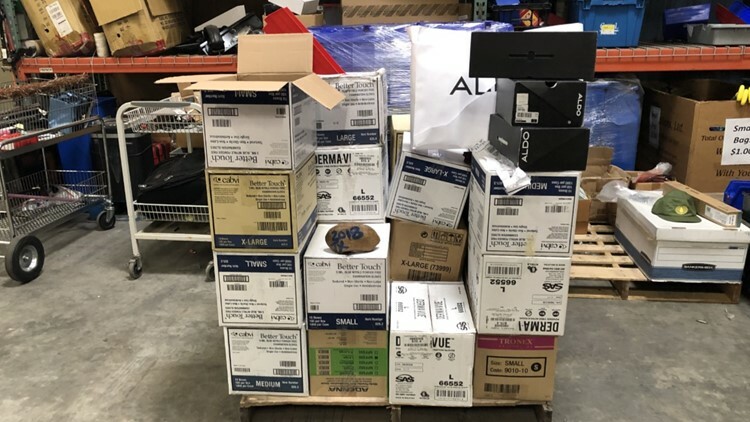 The items are brought to the back of warehouse, which is where they are brought in and priced before they hit the shelves. "We pick up from San Antonio at least once a month," she said. 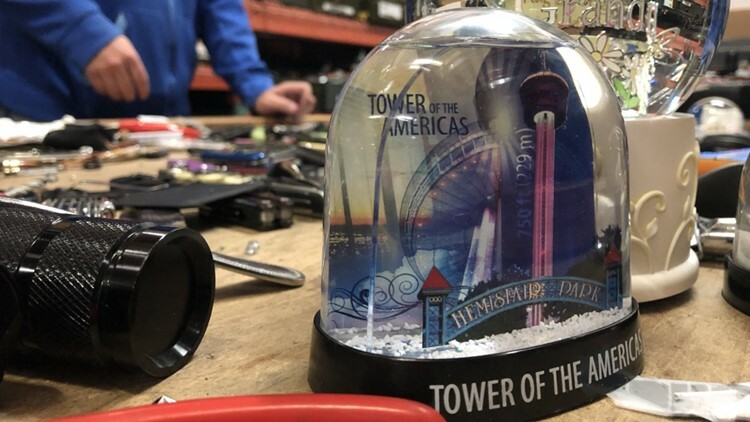 In the recent shipment from San Antonio International Airport, there were snow globes, knives galore and corkscrews to last for days. "I think we could challenge Guinness for the greatest amount of corkscrews being in one location, not being the manufacturer of corkscrews," Fierro said. There are about two employees who sift through the thousands of items and separate them into piles. If they are of high value, staff will then do some research to set the price. "It could very well be that we significantly under-priced something, and someone is going to get a great deal," she said. However, not all the confiscated or lost items from San Antonio International Airport go to the Austin store, which is a program under the Texas Facilities Commission. The San Antonio airport actually has three lost and found locations. One is controlled by the airlines, another by the TSA, then the airport has its own. Director of Security Chris Cole said the airport's lost and found is a small room that is well protected. They store items for two weeks. He said if it is not claimed, within the 14 days, they donate the stuff to Goodwill. "We are not looking at making money from the airport," Cole said. "We just took it as giving back to the community, and we know that there are people out there in need. We felt that this is the right thing to do." High-valued items like cell phones, tablets, are given to San Antonio Police, who could later auction the valuables off. However, back in Austin, if you're looking for a real deal and more than just a neck pillow, the State Surplus Store will be your new favorite place. "It is becoming one of the hit places here in Austin to come and visit because it is so weird," Fierro said.